If you haven’t thought about visiting Malaysia before then this guide will give you a few ideas on what to do in Kuala Lumpur. 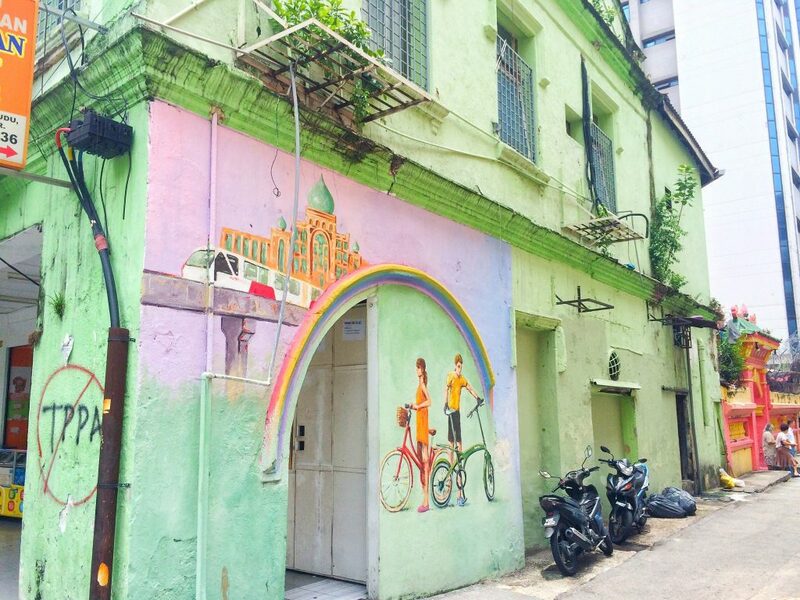 I spent four days in Kuala Lumpur and loved it, here’s what you too can discover. Kuala Lumpur is the national capital of Malaysia, located in the Southeast region of Asia, which is known for it’s economic development and population growth. Indeed this is evident with a number of construction projects happening throughout the city. 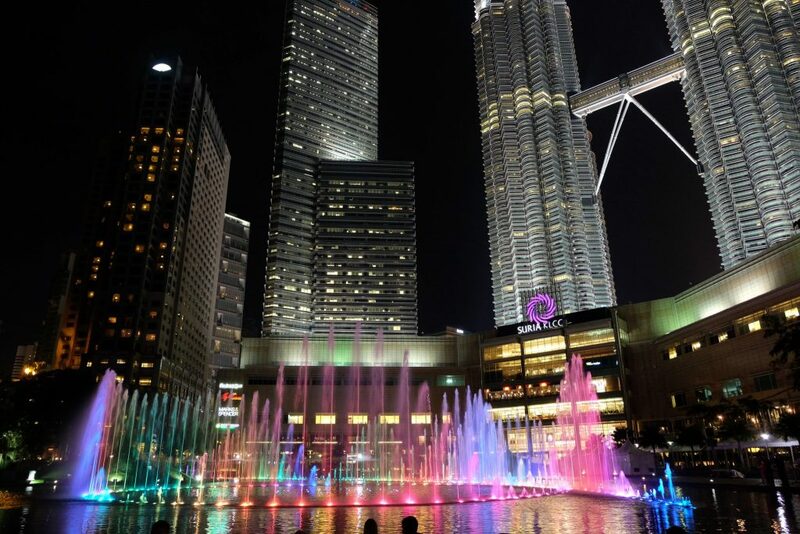 Kuala Lumpur is a major tourist destination and is currently ranked the 9th most visited city in the world and is an amazing place for a vacation. Kuala Lumpur has a colonial influence, some incredible modern architecture, culture and it’s easy on the budget too. Whether you enjoy the city itself or hiking through one of the various parks with hundreds of acres of nature to explore, there is plenty to see and do in Kuala Lumpur. 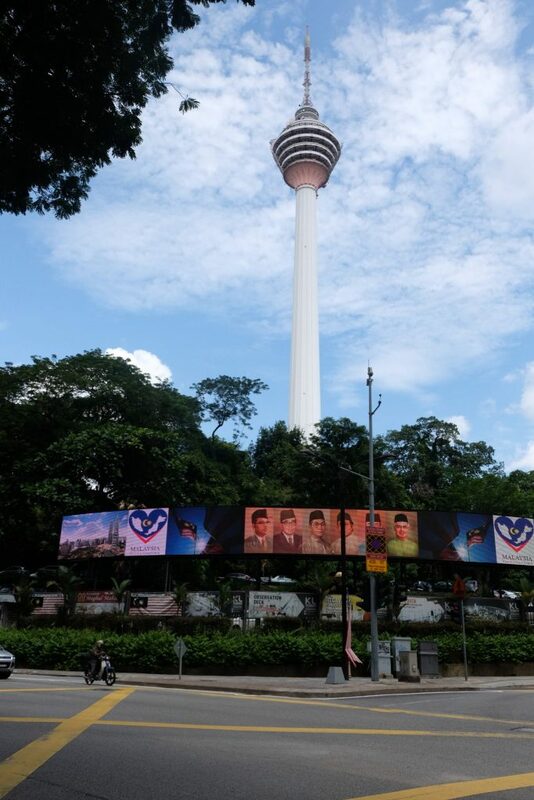 When vacationing in Kuala Lumpur there are so many places in which to visit. 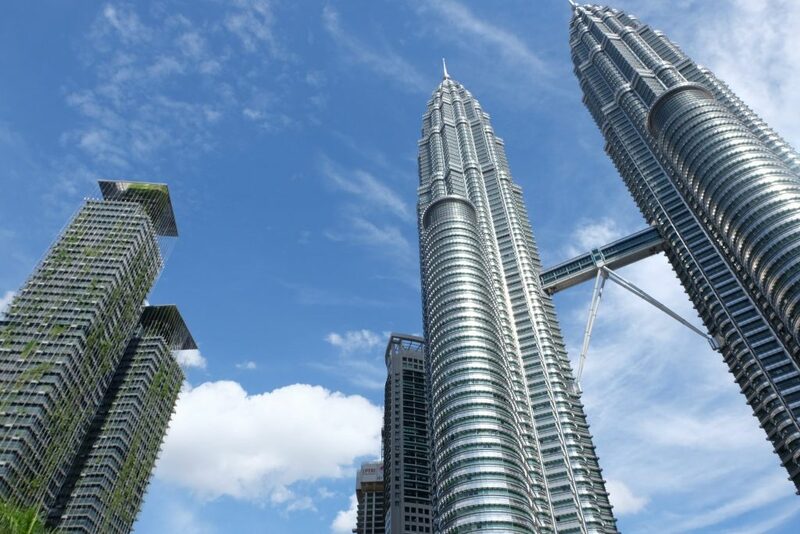 Considered to be two of the tallest buildings worldwide, Petronas Towers reach straight up into the sky. Soaring four hundred fifty meters high, these towers are truly incredible to see. These structures are intricately designed with various geometrical patterns. The exterior of Petronas towers features thousands of panels created with glass and stainless steel. 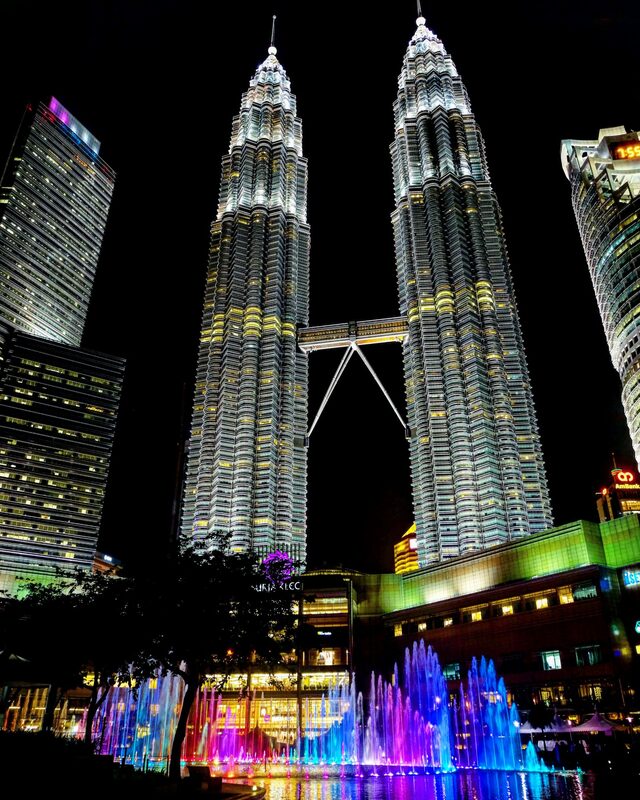 This is one of the most visited tourist attractions in Kuala Lumpur both day and night. The towers make for an amazing backdrop in photos. 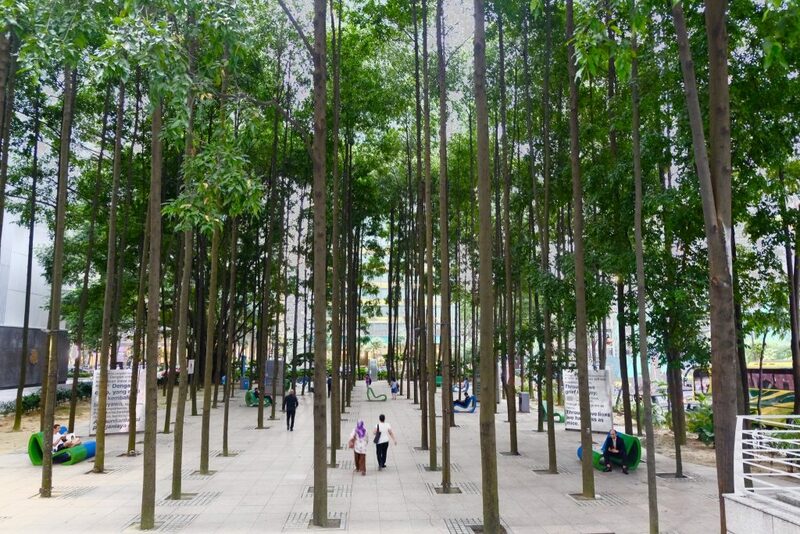 Another one of the places to visit in Kuala Lumpur is KLCC Park and Lake Symphony. 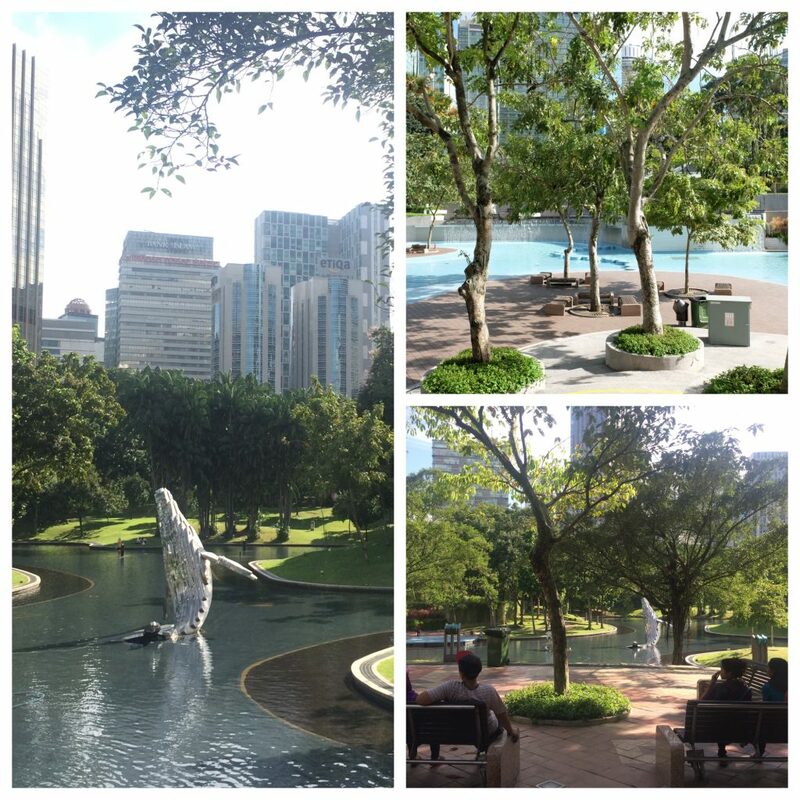 KLCC park has some lavish gardens to stroll through, which is located right outside the Petronas Towers. Featuring a ten-thousand square meter man made lake complete with numerous water fountains, that can spout eighty-two meters into the air. Lake Symphony puts on a nightly presentation, featuring dancing fountains, music and light displays for it’s guests. For those traveling with children there is a playground and huge public swimming pool to entertain the kids during the day. Built in 1995 this structure is over four-hundred meters tall. Take the elevator to the top floor for the spectacular views from the observation platform or book in for dinner at the revolving restaurant. The Menara Tower is also home to an unusual event for the fitness fanatics. Each year there are races held, where contestants race their way up the stairs to the top. 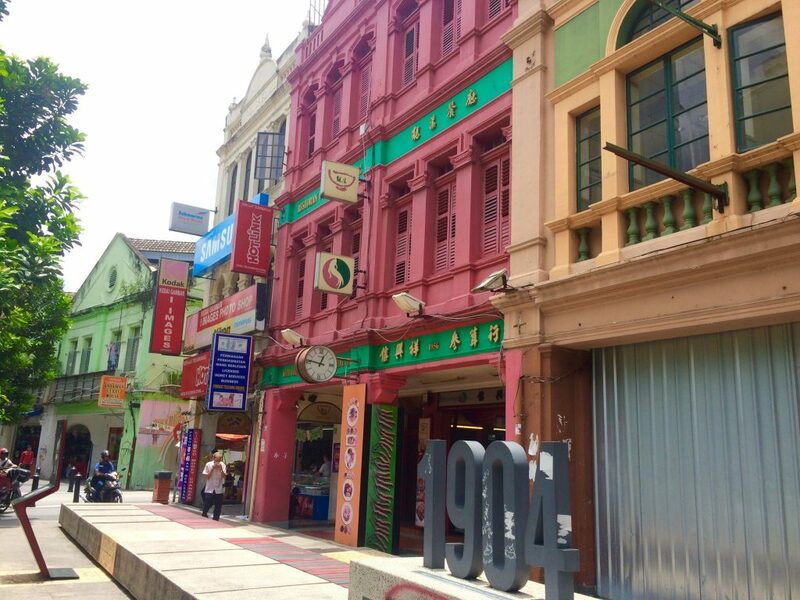 One popular tourist site is Malaysia’s own Chinatown. With it’s various food stalls and restaurants serving authentic Asian cuisine. Take a wonder through the area and you will see a huge flea market, selling typical tourist items, clothes and the unusual. Visitors can also stop and see one of the oldest Hindu temples within the area, Sri Mahamariamman Temple. The Temple is open daily to the public and for devotees to pay tribute. Located not far from Chinatown, is the popular Central Market. The market resides in a street lined with beautifully designed colonial buildings. Stop by around lunchtime to take advantage of the street food and restaurants, offering a wide range of appetizing dishes to those passing by. Across the road from the market you will also find the “Illusion 3D Art Museum” with a brilliant showcase of artwork and augmented reality videos. You can get some great interactive photography opportunities with the 3D art. For those with a love of the arts, Kuala Lumpur’s City Gallery is a definite must see. 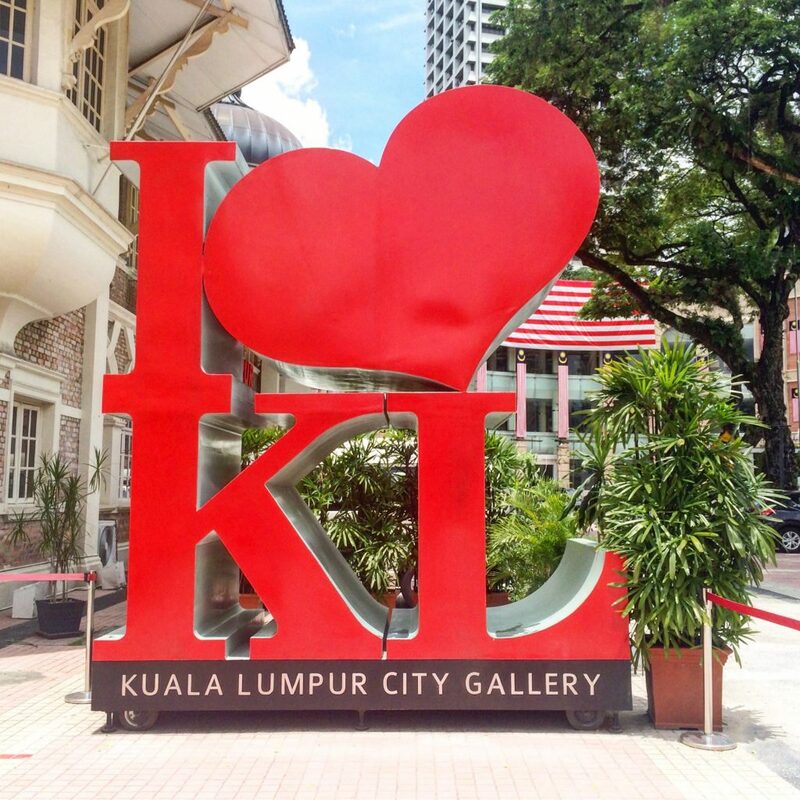 Travelers can take photos in front of the “I Love KL” structure, as a memento of their visit. There is also the KL skyline mural which features over twenty types of handcrafted pieces of wood. Visitors can also browse the National Textiles Museum that offers it’s guests free admission. 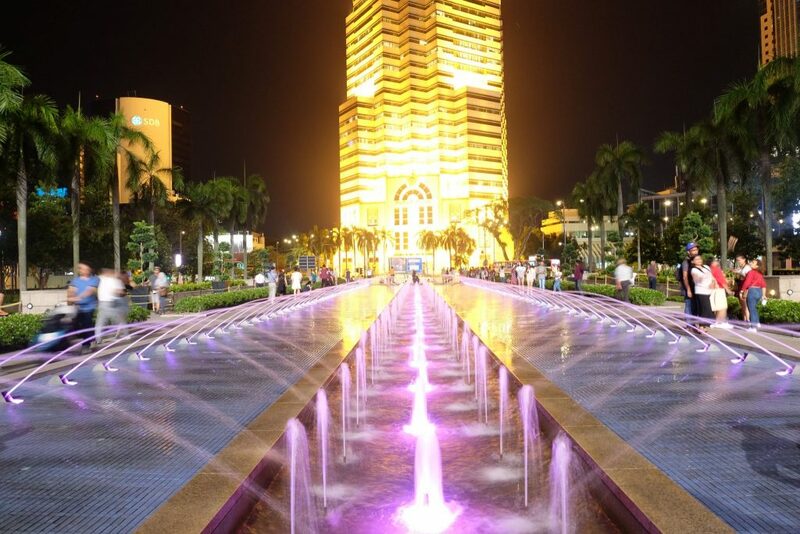 Also within this area is the the museum of music, Merdeka Square and Plaza. 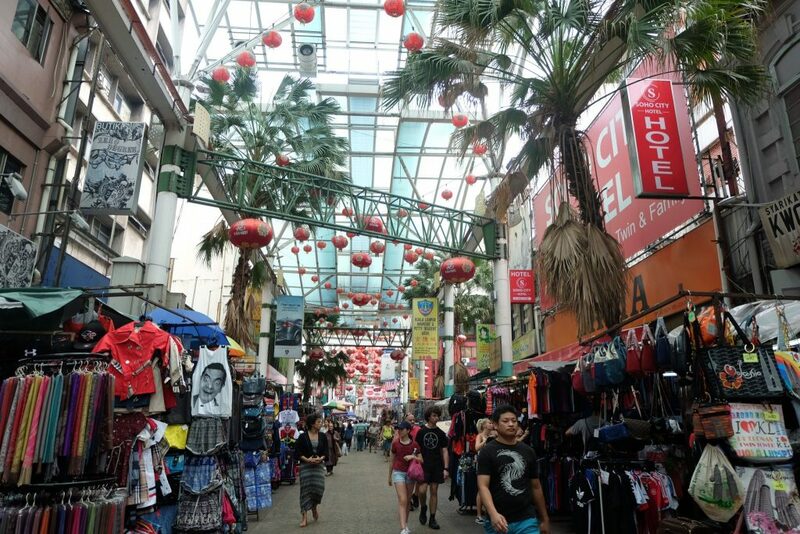 Located in Bukit Bintang in Kuala Lumpur, the huge shopping mall called Pavilion is a popular tourist destination, with over 400 retail stores to venture through. For those who love to shop, this is your place! It is jam-packed with a wide variety of stores and fashion boutiques, including global retail giants. All that intense shopping works up an appetite, so you will also find numerous fast food restaurants and coffee houses to enjoy both inside the Pavilion and the surrounding area. The Bukit Bingtang area is quite a lively area itself with many great places to eat and drink. 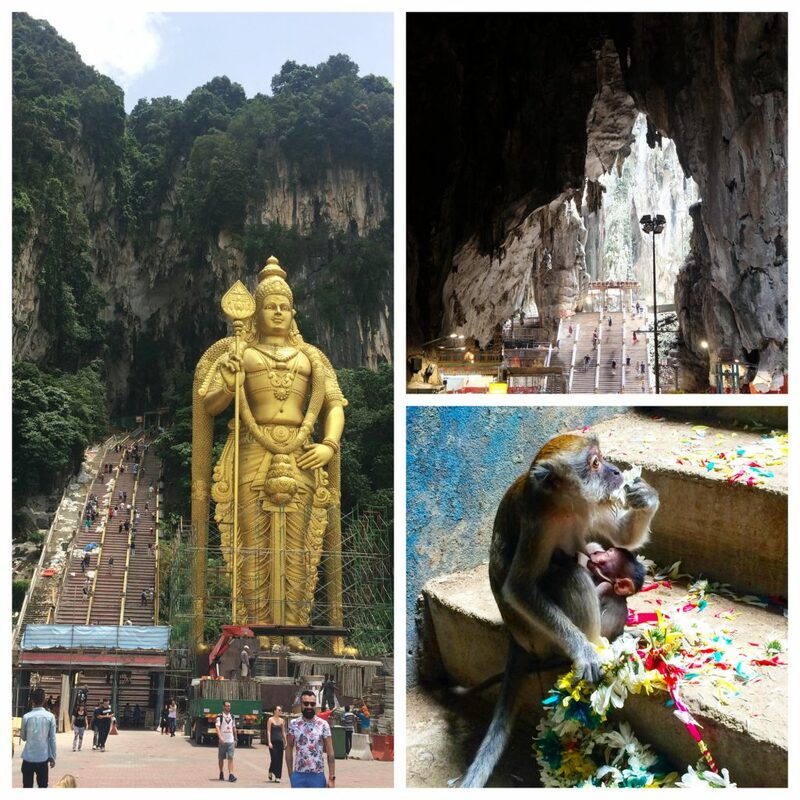 Named after the Sungai Batu River, Batu Caves is located within magnificent limestone hills. There are numerous cave temples in which to explore, as well as popular Hindu shrines like that of Lord Murugan. The famous God whose mother was Shiva, a deity of Hinduism. According to legend the caves have been in existence for over four-hundred million years. For those who like to rock climb, there are more than one-hundred sixty climbing routes. 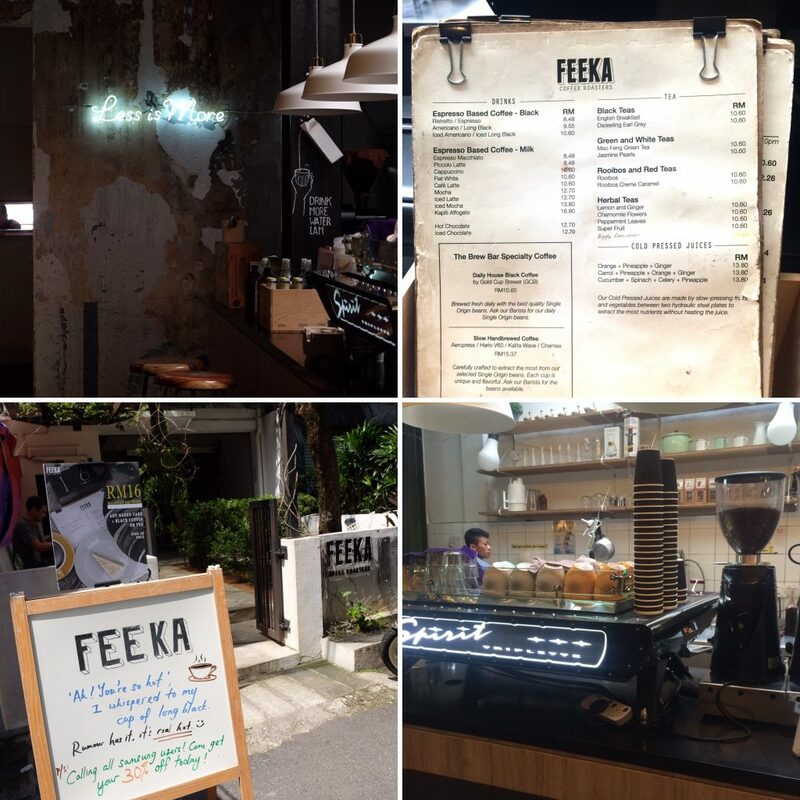 If you are after a great coffee and a delicious breakfast made to order then you can’t go past Feeka. For dinner I dined at both Mama San and Skillet, which I can highly recommend, both these places were top notch. 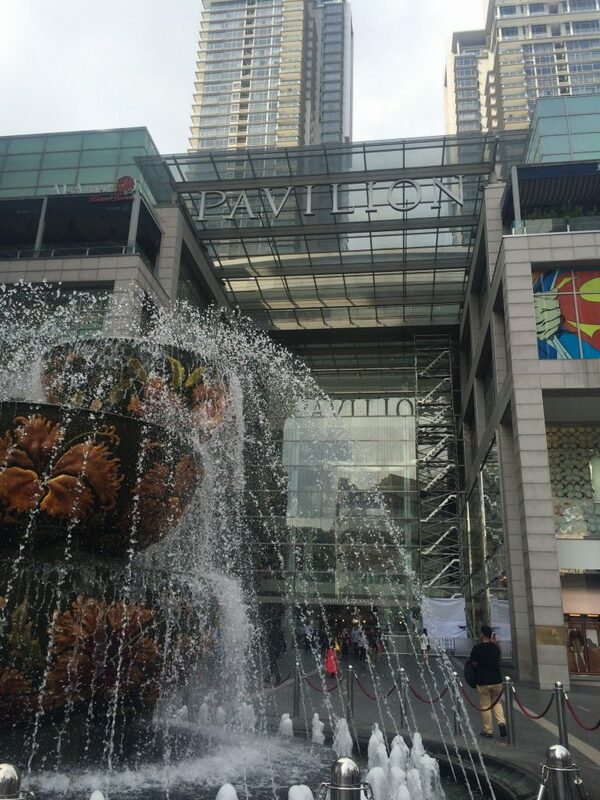 There are lot’s of alfresco restaurants located in KLCC Park. When darkness falls upon Malaysia, Kuala Lumpur is full of nightlife activity. There are various nightclubs and bars which offer tons of entertainment to enjoy. 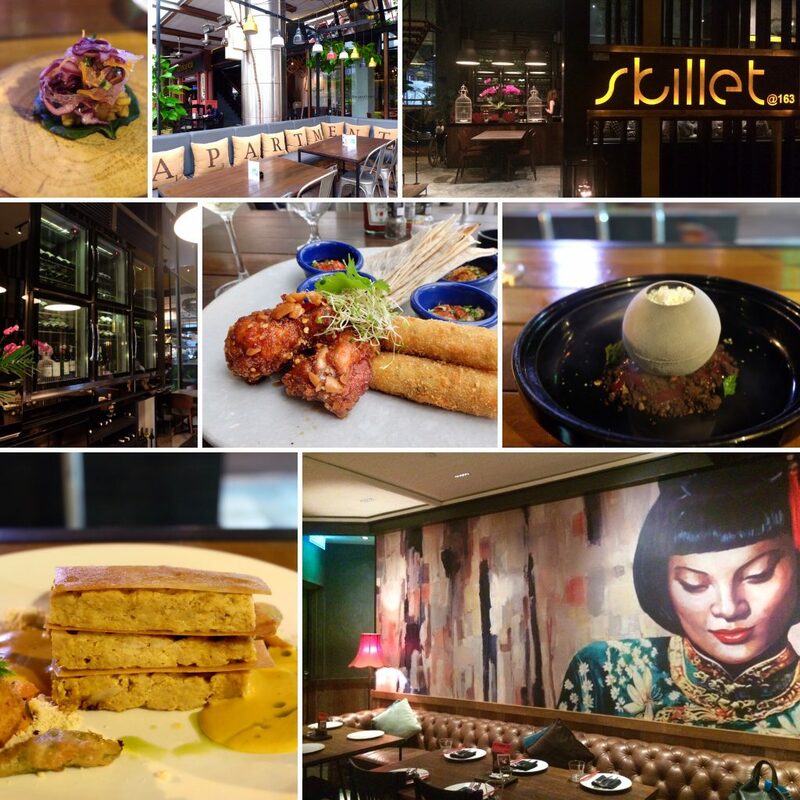 This is just a few of the establishments that cater to Kuala Lumpur’s nightlife. A cool speakeasy bar in KL, and just like a true speakeasy it has a hidden and mysterious vibe. Once you locate the entrance (via a shopfront) you’ll find yourself heading down a red lit corridor which then leads to the bar itself. It has an oriental theme, is dimly lit and serves some amazing cocktails. It’s not the cheapest place but the quality is worth it. It’s open until 2 am Tuesday to Saturday. Sunday it closes earlier at 10pm. Catering to a more mature audience Merdekarya offers open-mic sessions to it’s patrons. They encourage visitors to participate, regardless whether one has pro status or just wants to try for the fun of it. They also have various musical artists from the area preforming live. Known for it’s awesome music and upbeat atmosphere, Havana has everyone celebrating a good time. With international DJ’s spinning the turntables and an upstairs dance floor, this place has a party vibe that makes you want to get up and dance. Every Friday and Saturday they host “Retro Night” playing the good old classics from various era’s. The Sky Bar has been voted as being one of the best Malaysian bars in Kuala Lumpur. It’s a sought after nightspot, due to it’s stunning view overlooking the Petronas Towers. Located high on top of the Traders Hotel, it features entertainment provided by various DJ’s and has prime view window seats. If you can nab yourself a window seat (pre-book or get there early) you could be sitting, enjoying a few cocktails and all with a prized view of the PetronasTowers. 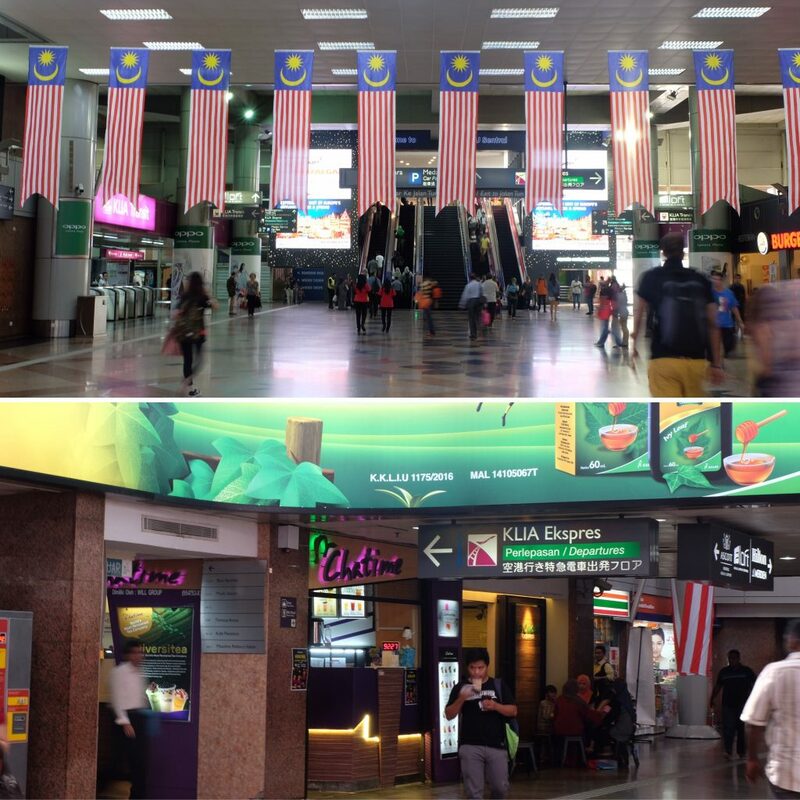 The easiest and cheapest way to Kuala Lumpur from the airport is by the train. It’s safe and convenient, being located in the airport. I rode this train from the airport to KL Sentral (the main station) without any issues. Simply head to the ticket office located next to the KLIA Express. Once you get to KL Sentral, you then switch to the mono rail (servicing the main tourist areas) or to transfer to suburban trains. Tickets (which are actually tokens) are sold via ticketing machines (you will be directed to a machine to buy one). If you get stuck on what to do, the friendly locals will help you.